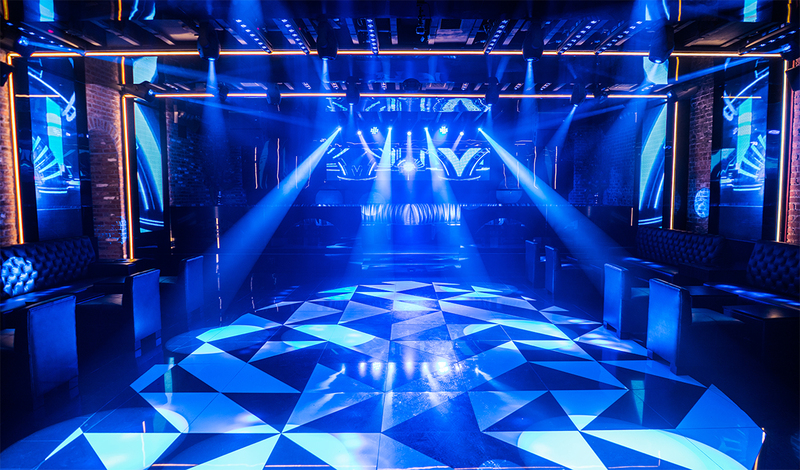 The brief for Tirso Lighting was to provide the Arka Room with a versatile system that made a big impression as soon as visitors walked in. The owners wanted an intelligent lighting system, video elements and a control system that was capable of handling the entire range of technology. The Concept behind this club is based around an old speakeasy where, in order to get to Arka Room, you have to go through the restaurant (Wahi Oyster) to get to the exclusive club space. To achieve that ‘immersive experience’, Tirso Lighting turned to Elation Lighting, whose products he has been using since Tirso Lighting’s inception. 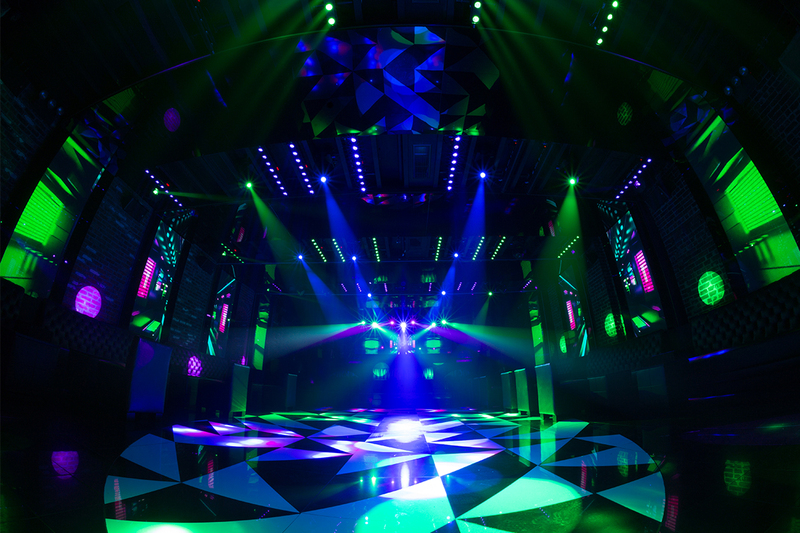 The lighting system comprised: 12 Elation Lighting Espot 3; 14 Elation Lighting Sniper 2R; 3 Elation Lighting ACL 360; 6 Elation Lighting Six Par 200; 9 High resolution led video panels (P5); 24 TL-8 Beamer; 500′ of Warm White Led Lighting; 1 Hasebase Hazer Video system comprised; 9 custom high resolution led video displays (P5). While the control system software includes: MA Lighting grandMA2 console; Madrix 3.0 and Resolume. Control Hardware: included 1 MA Lighting – MA Lighting Onpc Command wing; MA Lighting – MA Onpc Fader Wing; Madrix NEO; 1 – Livid – Ohm RGB. For the visuals we opted to go with a number of P5 LED video screens. These P5 LED video screens make a big impact in the space and play a major role in the aesthetics of the design, especially since they are embedded into big, black reflective structures. Tirso lighting designed these black reflective structures to help amplify the feel of the room. The reflections of the Black reflective structures create the illusion that place are much bigger than what it actually is. Some of the main challenges came during the design process. It was challenging to figure out how to incorporate so many fixtures into such a small space. Besides having so many fixtures, the reflective structures had to be designed to fit into the existing space, which had a doorway that wasn’t playing nice with the design concept. 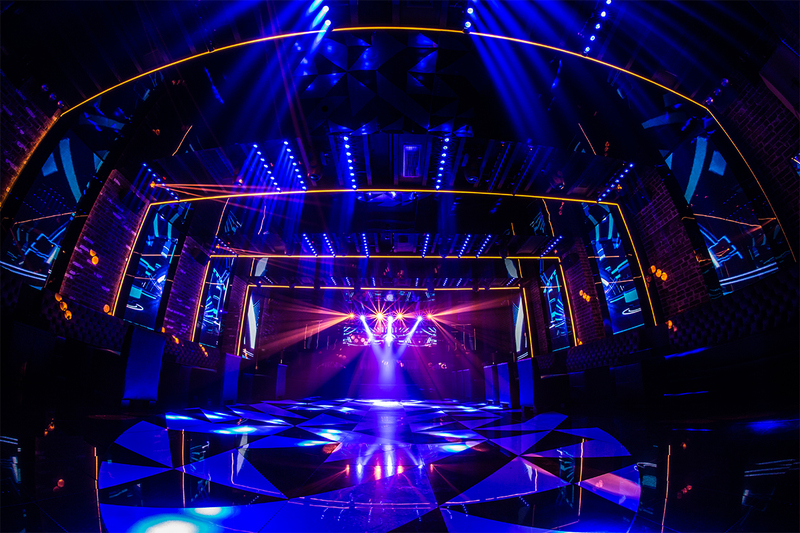 Fortunately our team was able to overcome these challenges and we were able to deliver a great lighting show and an amazing immersive experience for the clientele.